Regular tire rotation is a staple in car maintenance. Not only does it extend the life of your tires, but it bolsters safe driving. Tire rotation is simply changing where the individual tires are mounted on your vehicle. Front tires often wear much more quickly than rear tires, as they carry a maximum of a car's weight and are responsible for the majority of a car's braking and steering. Even if a car is perfectly aligned, uneven tire wear and scuffing will still occur. Rotating your car's tires will distribute this wear over each tire in each position. Tire rotation frequency depends on your car, so refer to your owner's manual for exact recommendations and guidelines on how often to rotate your tires. 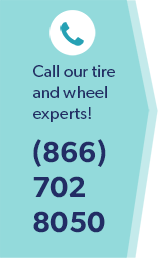 Most manufacturers recommend rotating your car's tires approximately every 5,000 to 10,000 miles. Tire rotation is a quick and inexpensive procedure that is undoubtedly worth it, as it extends the tread life of your tires, provides maximum gripping power, and allows for safe driving. Bring your car to Wiygul Automotive Clinic for tire rotation and other car maintenance and repair services. An AAA-approved center for auto repair and maintenance, Wiygul Automotive Clinic specializes in complete foreign and domestic repair service, and has provided outstanding service to Burke, Virginia and the surrounding area since 1996.